The bottom of a gigantic Ferris wheel, the largest clock Ferris wheel in the world at 112.5m and a capacity of 480 passengers. I took this photo at an amusement park in Yokohama, Japan, and added filters and textures for a grungy, industrial look. Customizable postcards, greeting cards and postage stamps are also available. 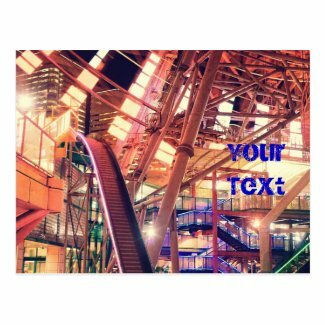 You just finished reading Bottom of a Gigantic Ferris Wheel. Please consider leaving a comment! This post is from the 3D viz and photography website, Beverly Claire Designs. If you are not currently reading this via designs.beverlyclaire.com, then this post may have been stolen or scraped from the Beverly Claire Designs site. Republishing this article in full or in part is a violation of Copyright Law (c)2010-2014, All rights reserved.